What is the best kitchen floor? That is, a non-yucky kind of kitchen floor. I’m supposed to have an idea. Why DON’T you want to have a wood floor? Merry Christmas! Hope Santa brings you everything you wished for. Yes? I suppose you’re not happy with that answer? Fine. I’ll give you the answer. This is the number one reason why you don’t want a hardwood floor in your kitchen. That’s true; you don’t think that hardwood will make the best kitchen floor because it scratches. Okay, a hardwood floor can scratch; it’s wood, but I think we need a little review of hardwood flooring and WHAT to use on it and how to prevent things like scratching. Because, I’m speaking from personal experience; we had a hardwood floor, not in our kitchen, but everywhere else on our main open-ish living/dining/den area and even with two dobermans (masquerading as little human boys) along with their monster trucks, the hardwood floor held up very nicely; for 17 years, until we sold the house. The other thing is. If you have a truly open plan, I think it only makes sense to have the floor be one material. So, let’s make this clear. If you really want a hardwood floor in your kitchen but the only reason you’re not doing it is because you don’t think it’ll hold up, I wouldn’t use that as an excuse. Of course, it’s wood, so you do need to be mindful. Therefore, I recommend doing a few things to help protect your hardwood floors and make them even more beautiful as time goes on. Get furniture protectors for the legs. Keep your floors as dust-free as possible. Dirt and dust will wreck your hardwood floors. This isn’t as difficult as you might think. Take your shoes off when inside the house. And then, instead of house slippers you put on swiffer socks. Oh, Laurel, you can’t be serious! Okay, I know that you’re busy, and you want to know the alternatives to a hardwood floor. This looks to be a limestone floor in this elegant mud room. Ceramic or Porcelain Tile – These vary quite a bit from cheap and tacky to quite and a good substitute for natural stone. There are porcelain tiles the look shockingly like a hardwood floor. One advantage to this is that if you want a radiant heated floor, it is less expensive and more effective under tile. This category covers so much ground it should be its own post, perhaps. Well, actually, any of these could be their own post. I love the floor in this kitchen featured early this year. The tile is rectified meaning that the grout and tile are flush making for far easier cleaning. Encaustic Cement tiles – We have discussed this beautiful flooring here and here. Do you follow the instagram account @ihavethisthingwithfloors ? So many beautiful, inspiring images. Like this one – @ihavethisthingwithfloors on instagram – via @ezkibilici -(it looks like the account is down) encaustic cement floor. If you hashtag your image of a beautiful floor with #ihavethisthingwithfloors, it might get published! Beautiful retro-style kitchen by Studio McGee. Please check out this beautiful renovation. I think that they did a great job of updating this home. Cabinet color is Forest Green by Benjamin Moore. This kitchen is reminding me a lot of Melissa Tardiff’s beautiful kitchen with green cabinets. Terrazzo tiles. An aggregate of chips of marble, quartz, granite, glass, or other suitable material, poured with a binding agent to form a tile. I did a terrazzo tile in a kitchen once. Gosh that was 20 years ago. But, it was stunning– and quite expensive. Poured Concrete Floors – This lovely client many years ago put this in with radiant heat in her mudroom area. She handled it with her architect, but ran it by me. It’s a very cool contemporary look, but expensive. Oh man. This is one of those floors that I filed away (in my head) about 25 years ago– at least. It’s belongs to the architect Michael Graves. Poured concrete, but scored in over-scale diamonds. I adored it to bits the second I saw it, and still do. Thank you for asking. :] Cement is an ingredient in concrete, but the terms are sometimes used interchangeably. The aforementioned hardwood floor does have a little give, but it is not the softest floor. Hardwood flooring can include any wood used for flooring including bamboo. The softest is probably pine. Linoleum Tiles. This is sometimes confused with vinyl. Both come in sheets and tiles. However, linoleum, a natural product made from linseed oil, pine rosin, limestone, cork flour, wood flour, jute as the backing, and coloring pigments. Vinyl is vinyl. :] We had a black and white checkerboard vinyl tile in our old home which you can see here. It actually is a nice, crisp look and it feels very nice underfoot. And, it’s easy to clean, which is not the same as easy to get clean. That is because it scuffs very easily and that is not easy to get up. Our 50s ranch in Indiana had a linoleum floor in the kitchen and basement. Our basement was always wet and believe me, my folks did everything in their power to fix it, but alas it was not to be. Well, the poor linoleum floor started to crack and come up. It was a big bloody mess. I don’t remember what my mother did. The kitchen floor eventually got replaced in the late 60s with a sheet vinyl that was supposed to resemble pebbles. I think that this is it. Armstrong – Pebblette. Uhhhh… At the time, I thought it was very cool in a Jetsons sort of way. haha Now, looking back, I’m pretty horrified. Vinyl Flooring. It comes either in sheets or in tiles. Here, is where it can be very nice, or super tacky. More stone? No. It’s actually vinyl tile and Allison from Shark Tails blog did it herself. I admire people who not only have the patience to do tedious work, but break their backs in the process without so much as a whimper. Cork Tiles. Cork is probably the softest of all of these materials, so it’s definitely a contender if you require a floor that has a good amount of give underfoot. My mom had a cork floor that she put in her contemporary-style home in Wisconsin in about 1980. I hated it. It was a weird, yellowy-orange, speckle-y in a not very good way and it buckled. Eventually, she got sick of it and put in an engineered hardwood floor, but only in the kitchen. At least, it was a big improvement. I have seen some lovely cork products since then, but another client put it in her kitchen and I wasn’t crazy about it because it clashed with the hardwood floor. I didn’t say anything because the kitchen wasn’t my design and she LOVED the floor. So, that is something to heed if you’re doing a different floor in the kitchen than in the rest of the home. Okay, we’ve pretty much gone over everything I can think of except for a dirt floor. Which one is the best kitchen floor, Laurel? Well, in the right situation, they all are. It just depends on the style of your home, furnishings, budget and the look you’re going for. What if I have an old linoleum or vinyl floor and I hate it and don’t have a lot of money? That is a very reasonable question. Remember young, insanely talented William McLure? Remember what he did to one of his kitchen floors? I say “one of them,” because apparently, he doesn’t live in any residence longer than six months. But, they are all fabulous! I will probably see you on Christmas Day, but if I don’t, please have a blessed holiday! Hi Laurel! Love your blog. Honestly reading your thoughts about colors is the most relaxing thing, even though I wound up painting my whole house a color I don’t think I’ve noticed you mention: BM paperwhite, a lovely ethereal white that’s the slightest whisper of cool gray. I don’t expect you to know this, but I’ve mentioned Benjamin Moore Paper White numerous times on the blog. You can see which posts, here. One way to find something on here, is to first do a search in the little box near the top of the blog side bar. But I say “paper white.” So, it wasn’t until I put in quotes did it come up perfectly. Once on the page, oh, I have a mac, it’s “Command F” and a little box pops up and you type in what you are looking for and it will hi-light it. I forgot what to do on PC it’s been so long, but if you’re interested, just google it. It might be “Control F” on a PC. The other thing is that Paper White is also one of the 144 Obsessively Curated colors in my Paint and Palette Collection. I love this post about kitchen floors. Thirty years ago we installed 1/2 inch thick oak tongue and groove wood floors OURSELVES (don’t recommend it but we did it to save money) in our entire first floor. And sanded and finished too (don’t do this). It turned out great. I babied it and was very fussy that everyone take their shoes off. Here in Washington state you are usually pretty unpopular if you request that. Then we acquired a golden retriever. She could not take her shoes off. At first I would not let her come into the wood floor area without carrying her to the area rug. This nonsense lasted about one day. Eventually I was forced to readjust my expectations of having a perfect floor. It was so hard to do. The first big dog claw skid gouge helped this process. Sooo, eventually I just had to say “Whatever, I don’t care anymore but it has to be clean”. Scratched floor but happy home. I had to do this for my sanity. Recently I looked at my childhood home in Maine which was build around 1920. Wood plank floors that are well worn and they are cottagey and charming and cozy. You have to have the right kind of house architecture to get away with rustic ‘cozy’ floors that you see in old farmhouses, I know. 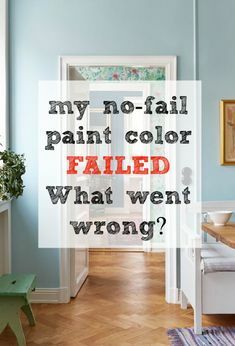 For me, having a house where an imperfect floor works (although I tried obsessively to protect it) plus a attitude adjustment process, very painful because I like things a particular way and MY way, was the only solution. Just thought I’d share why I’m not rocking my body in a fetal position in a corner because of my floor anymore haaa. I hope and pray that you are feeling better, Laurel. My thoughts are truly with you each day. 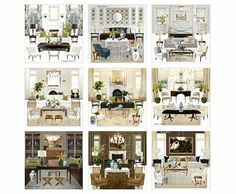 I ask, because I would have difficulty classifying my home as either open or closed (it’s a newer home, and it seems to me to be somewhere in between), and I bet I’m not the only one in this sort of situation, where the floor plan of the house leaves flooring decisions very ambiguous. That’s a reasonable question, but unless I’m looking at the situation, I can’t ascertain the answer or advise that there might be a third option that could make more than one floor work, like the addition of a pony wall or something like that. But, generally, it needs to make sense. For instance a symmetrical entry with open rooms flowing off of it, could be a different material, like a stone, for instance. I love your site! I have a question – we are remodeling our 1909 house (stage 2)! throughout the house we have beautiful hardwood floors that we are putting a fresh redo on. I cannot match the wood floors and there is an adjoining room without hardwood that will be our den. I was thinking maybe putting a slate looking tile. Do you have any ideas??? Swiffer feet!? These remind me of my junior year abroad in France. I spent the first month with a family who had new hardwood floors. They had dusting slippers we had to change into at the entry. Now my house has tile floors on a slab. My feet HURT. I’d love hardwood but it might be almost as hard over a slab. In the meantime I wear really thick flip-flops. OMG lol the beginning of this post! Thank you for conceding that there is some possibility besides hardwood out there for floors in a kitchen. When we moved & renovated I lobbied for hardwood throughout our semi-open floor plan but my husband absolutely refused to consider it. He said he has seen and helped fix (he’s handy) too many failed/leaking dishwashers to do it, and didn’t trust water damage from normal sink splashings either. We did similar toned tile a shade lighter. I’ve said this hundreds of times but I love wood in the kitchen. It’s easier to stand on, things rarely break when you drop them (compared to tile) and they look great. Wood ages well – it wears its dents and dings with style. Vinyl plank can be great too. We put it in all our rentals and most people think it’s wood even after living with it. I prefer having the same flooring on a single level, especially in a smaller place. That limestone is gorgeous, but my knees and back couldn’t take standing on it for long at my age. Here’s another vote for hardwood floors in the kitchen…and everywhere. I’m still on cloud nine after having renovated my kitchen, going from a 1980’s vinyl-coated, wood veneer, “peel and stick” flooring, called Vinylwood to unfinished, red oak in random /lengths, “seconds” (a.k.a. cheap) that my floor guy finished with a commercial polyurethane product and they are beautiful! They blend right in with the rest of the home’s original (same) oak flooring that I’ve only had refinished once. I imagine my kitchen floor will hold up for 30+ years, too! Wood is easy on the feet, dishes and electronics. A medium wood tone doesn’t show every little thing. Hahahahaa! So I finally got my new floor in my kitchen. I did 8 inch pine planks and I am painting them with BM Advance in Mayonaise (exterior is Hawthorne and Mayonaise). I have one coat left to do but I cannot tell you how much I love them. My heart goes all pitter patter when I walk in. I have east facing light and skylights in the kitchen and it’s just gorgeous. Robot vacuum. Mine is from amazon and cost 250 bucks and is worth every single penny. I have 6 small dogs and this floor is super easy to keep clean so far. All the naysayers are uhmmm floored at how gorgeous it is. We still have a long way to go in the kitchen, working on drywall right today. Hoping to get cabinets in next week. And I found the most perfect pale blue antique chair to go in the corner by the French doors. Was your 1960’s floor perhaps Armstrong Montina? I was just reading about that today. It had vinyl chips set in clear vinyl, giving a weird texture to the top. Wood floors perhaps don’t seem as clean as vinyl or linoleum, and some may stain more easily. Also, these days they (even the fake kinds)are often dark wood, which I personally don’t like. For softer floors that don’t break dishes and are easy on your feet, kitchen carpeting seems to have been completely abandoned. It was the “in” thing for a short time when my mother had it installed in the ’60’s, and it was very comfortable and lasted in good condition for decades–absolutely no problems or regrets. But I suppose a decorator would sooner hang up her hat than recommend kitchen carpet–or do they even make it anymore? Hey Laurel – I hate to be pedantic BUT – the linoleum floor shown from Apartment Therapy may actually be Vinyl Composition Tiles (ie VC Tiles). You didn’t talk about VC Tiles, except to mention your former floor, which it sounds like they were ? They are an inexpensive product which is actually a very good value for the price. The color is continuous through the tile, so it won’t wear off. I had VC Tiles in a former apartment, and while I was initially not crazy about them, they were reasonably soft and quiet underfoot. I thoroughly cleaned and stripped them, then used a commercial polish for a high gloss finish. I even considered them for the bathroom and kitchen of my next house. I am not a big fan of the dull neutrals that are everywhere these days. VC Tile is also available in a commercial range and comes in a huge range of colors(yes, neutrals, too). If they can endure school and institutional use, then they will survive most kitchens. My only complaint about the VC Tiles was that whoever had installed them in that apartment appeared to have stuck them right on top of the vintage hardwood floors, and did so without carefully using a nail set to prep the floors. In certain areas that nails were beginning to work their way up through the tile, and this was especially apparent with a high gloss finish. I estimate the tiles to have been on that floor for at least 35 years, and while they were showing their age a little, for a floor in a cheap rental with scant maintenance they were doing great. They also did not get gummy, like 70’s and 80’s sheet vinyl flooring. I think they are a good product, particularly in older homes that have the original kitchen, or homes with a retro leaning design. They are also really good in mudrooms, laundry rooms, kids playrooms or anywhere that a hard wearing flooring is needed. I too dreamt of a beautiful unglazed porcelain hex tile floor, or antique encaustic tile, but it wasn’t in my budget at all. Some of the higher-end vinyl wood-look products are surprisingly realistic looking. It all depends on a lot of factors like budget and especially location. Some people, like in humid Florida can’t put in a hardwood floor without having all sorts of problems. But, they love the look, so a realistic looking vinyl floor plank, is the answer they seek. Laurel, this is a terrific post that will be very helpful to lotsof people. I discovered your blog after doing my kitchen remodel earlier this year but in time to help with finishing touches. I love your sense of humor as well as design pointers. Thank you for helping me find the right “white” for my walls! You’ll also be pleased to know I have no upper cabinets lol. When it came to my flooring, wood wasn’t practical for me. I live in a rural area on a dirt road and between dirt, dust, and animals, wood wasn’t a good choice. I installed vinyl plank flooring throughout my kitchen, dining, and living area in a wood pattern and it is beautiful. You literally cannot tell it isn’t a wood floor but it has similar durability of vinyl. Although it can still scratch, it is waterproof. Vinyl plank flooring is quite popular in the Pacific Northwest where I live. Builders have even put it in high end homes here for a number of years. It isn’t a cheap substitute as the cost can be comparable to wood if you choose a high quality vinyl plank – which I did. It is absolutely stunning and I love it! Your posts always make my mornings better, and huge thank you for that. On @A_Grand_Renovation she painted & stenciled her old vinyl floor. It now looks like a cement tile. It’s really cool but it had to have been a lot of work. For those considering something like cork…well, cork is SUPER soft and DIVINE on aging feet—SO comfy—but it is VERY fragile, I’ve found. In the 7 years I’ve had one, it’s been only me, in either soft, comfy, foam bottomed shoes or barefoot, and in the last 4 years, an 11 pound dog and a 6.5 pound dog with very short nails using it…and I don’t cook, so “kitchen use” is pretty much feeding the dogs twice a day, washing my hands at the kitchen sink and popping things in the microwave. There’s no table, no chairs, no dropping things, no kids—and it STILL has dents and dings all over it. I’ve NEVER had a floor this sensitive before! In other words—I’d say it’s a great choice for single, sedentary people who don’t use the kitchen too much—and who have aging feet (did I mention it’s DIVINELY soft??!!!). It reminds me of the way a good sprung floor dance studio feels—with a little extra cushion to it. You had me at foot pain. Honestly, I could be walking on pillows and my feet would be killing me after a time. I think it’s a nerve thing, most likely brought on by years of ballet training/dancing with wide feet, not really meant for such things. It is a conundrum – style, comfort, durability. Linoleum may be a nice balance of the three, but if your space is smaller do you want to break it up with different flooring? Embrace linoleum throughout? And if you have to sell will that fly with potential buyers? Not sure if it is a topic that you have tackled previously, but sometimes one is constrained by outside factors. The condo I live in presently requires that upstairs units have carpet on the stairs and most other areas except the kitchen/bath/laundry. This is such a hard choice since everything has drawbacks. Since I moved to the mountains 17 years ago, I have rented several houses – each house was either brand new or fairly new. Most of them had the wood flooring go all the way into the kitchen. I have such mixed emotions about this. Yes, it looks great. Yes, it is easier to care for than some people think. But I always wonder how all these houses are going to look years from now when the kitchen floors start showing more wear and tear than the rest of the house. The reason is that the kitchen just gets more stuff falling on those wood floors, while the rest of the house is more protected. It’s always the kitchen where the floors start creaking first because even with polyurethane coatings, water still gets in if you don’t notice it fast enough. Plus, you have to mop the kitchen floors a lot more often than the rest of them. We moved out of one house and instructed the electric company to keep the power on until the new renters moved in. A few days later, I met the real estate agent who rented the house to us to do a final walk-through so we could get our deposit back. In spite of my instructions, the electric company had shut off the power. We discovered that all the ice in the freezer had melted and the water had flowed out onto the wood floors in the kitchen. We mopped it up, but the kitchen floor had already swollen and buckled. A friend of ours had a similar problem when their new refrigerator’s water filter failed because they mistakenly replaced it with a generic filter. The water destroyed the wood floors in their kitchen. It was an open floor plan. They had to tear up ALL the wood floors on their main level and replace the whole thing, just because of the kitchen floor. I almost forgot. Another rental we had with wood floors everywhere, s l o w l y became saturated from a burst pipe in winter. The landlord had insurance, but it only paid to replace the damaged part, which was the family room area of the large kitchen. What a nightmare. It had to be done three times because they just could not get it right. The original floor was such a distinct pattern. In the end, you could totally tell where the new wood met up with the old wood. A lot of builders use engineered wood. I know the quality is all over the map with engineered wood floors. From what I’ve read, if you get a really good quality brand, the poly is on all sides, not just the surface, which helps with water damage. Maybe a good option is to buy some spare boards in the same wood, and keep them in storage just in case. Then a partial repair would look a lot better. Since there are issues with classic linoleum and other softer options, I’d probably just stick with the wood and have some spare in storage. Either that, or just be resigned to eventual replacement and try to take care of it as best I can. Sorry for your problems with the wood floors and your friend too. ***Tip. If you ever have water damage, get the insurance adjuster in there ASAP. Things always look worse, the first few days. Of course, if it’s water damage due to a natural disaster, that might not be possible. In the early days, after our floods, the floor wasn’t looking too happy but after it dried out, it went back to the way it was before the flood. I was amazed! Anyone who lives in an area with extremes of climate will probably notice their floors shrinking in the winter and expanding in the summer for the same reason. The other thing and I discuss it in this post, is that some polyurethanes are better than others. The one we used was oil based Fabulon- semi-gloss. And that is the one I recommend. It was beautiful and super-strong. The only thing, is that it might only be available in quarts. EPA BS, IMO. There might be other brands, but that is the one I know. Water based polys are not the same nor do they offer the same protection. Believe me. I had a couple of flooring guys who swore otherwise, but that has not been my experience. If anyone has had a different experience, please let us know. My criteria is that it needs to hold up AND have a lustrous, non-plastic looking finish. I thought you might like to know the email link to this post broken. I have concrete floors and absolutely LOVE them….after having been an Interior Designer for almost 40 years I wanted something different when we built 2 1/2 years ago, so concrete floors it was!….so easy to clean and I have oriental rugs all over them which warms up the look….I would recommend them to anyone!…especially people with pets…although we don’t have any pets I look forward to having dog in my 80’s! Pretty doggone good reading here, Laurel. I even went to all the links because I woke up too early this a.m, and I need to decide if I’m going to prime my cabinets today for painting or just use some rejuvenate (really works who knew?) on my wood floors before my husband returns from Indiana. We have Mannington vinyl in our bathrooms and love the softness. Had tile in kitchen in my last four houses. Wears well but even with large 18” tiles and “dirt-colored” grout in house we built 5 yrs ago in California, keeping the grout Lines clean is the real issue. I broke a couple of dishes too. But the cleaning was the real issue. This small house outside Atlanta has wood floors throughout. I wanted wood in our new-build kitchen but went for “safe” tile. I have to say, your assessment of the wood is dead on. It’s comfortable, cleans up well, and the only scratches I have are from a 2-yr old visitor doing some heavy construction work with a heavy metal tractor that I only found after his momma took him home. I am still Team Wood. Thank you for your wonderful blog. You are a true resource. Thanks so much Red. Ouch on your daughter’s electronic mishaps! I feel her pain. I’ve not broken any, but years ago, I did drown one laptop with a cup of coffee and two other times had to put it in intensive care for a couple of days. lol It was one particular mug which I finally got rid of! Good morning from Norway, Laurel! And happy holidays! The kitchen floor question was a big one when we built our new farm house. It has a very large open kitchen/dining/family room (about 120 square meters/1300 square feet – and no, that’s not a typo) , with a large double opening to the hallway. As said, it’s a farmhouse: 4 cats, one or two dogs, always mud/sand/water/hay and so on being dragged in. Everybody is supposed to take their work boots off when they come in, but sometimes that just does not work. And the cats come in with mud and hay in their (long) coats, not to mention living mice! Also, we have underfloor heating, so the floor should hold up to that. Wood floors would have been possible, but can warp with the underfloor heating. Plus we have quite a bit of wooden furniture and I worried about it getting too much like a ‘cabin in the woods’. I considered concrete but that would be a LOT of concrete. Our contractor was not really happy about it either. Since it’s such a large room, there is a chance of small cracks and such. Also, the final cost with sealant and all would be more than a conventional floor. On top of that it feels like a fairly trendy look, not sure if I would get bored with it quickly. This room is facing north and of course we have long and very dark winters here. So preferably it should be a lighter floor – but not so light that you see every speck/dog print/cat hair. Laminate floors are very popular here and some of them look fantastic. I found a high quality laminate floor that looks like tiles, in a ‘greige’ colour and shape almost exactly like the one you show in the picture of the Devol kitchen in your post! It is matte and has some colour/texture variation. This makes dirt and dust almost invisible. It is very scratch resistant, does not mind when you drop things, and even handles fluid spills without problems (of course we don’t let spills stand on the floor but swipe them up immediately). We have used it in the whole room plus the hallway, which makes for a very nice flow. We did put in an ‘under foam’ and the floor is very comfy to walk and stand on. 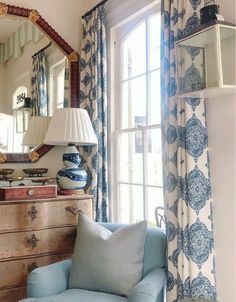 Best of all, the colour looks great with almost any kind of carpet/furniture. Very versatile. In the kitchen area there is a nice quality Persian runner, which I bought cheaply second hand. Because of the pattern it also does not show spots or spills :). And it provides even more padding to stand on when cooking. About your shoe comment: in Norway and Sweden it is mandatory to take off your shoes when coming into a house! Some people even have a basket of slippers for guests. I have been at parties where people have dressed up nicely, and everybody goes in their socks/stockings! It is also not uncommon to arrive in your bad-weather boots and carry a pair of nice, clean shoes to wear inside. Or even thick winter socks to put on over your stockings (interesting look with a party frock). Many houses have softer wood floors – which mark horrendously – so it can be frowned upon if you come to a party wearing shoes with high and pointy heels :)!! We have hardwood in our kitchen, flowing into the great room, and we love it. Yes, over time it does scratch a bit, but not all that much. And I have to vacuum it and then mop it, but I only do the latter every couple of weeks. Thanks to you, I stopped using Murphy’s on it. Some day we will have it refinished, but after 19 years, it still looks great and sometimes, things we drop don’t break. It’s soft underfoot, and I’m in here a lot. If your readers want a tile floor, I think the rectified tile is the way to go. We have tile with very large grout lines in other parts of our house, and it’s impossible to keep clean. I can’t wait until we can rip it out and replace it. I would cut back somewhere else to afford rectified tile.